LT1 Progress: I am having some issues that sort of put me on hold. 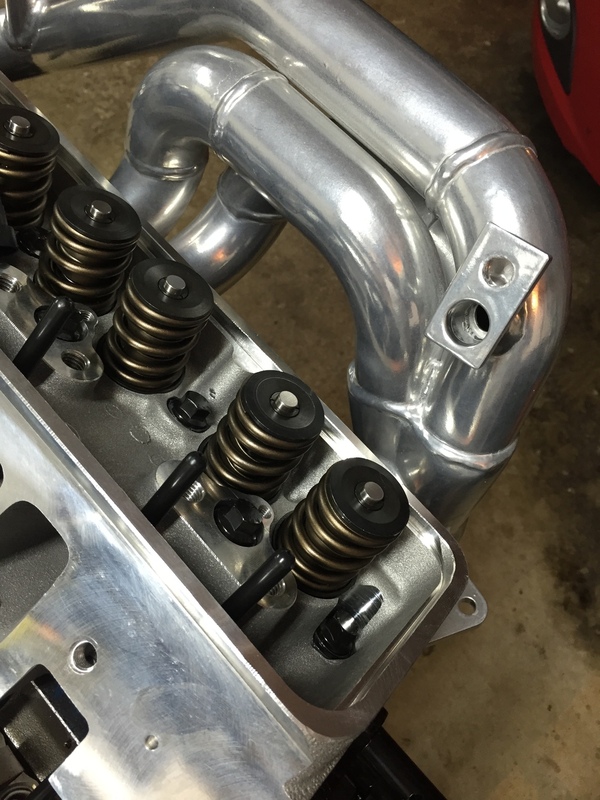 Installing the SLP Headers, which are brand new, coated and look amazing, I have an issue. The passenger side EGR hookup will not clear the tall valve covers. My options are to either have these cut off and modified, or possible switch to a different header. The SLPs were bought so long ago and we are now finding that they might not be the best option... More on that to follow. 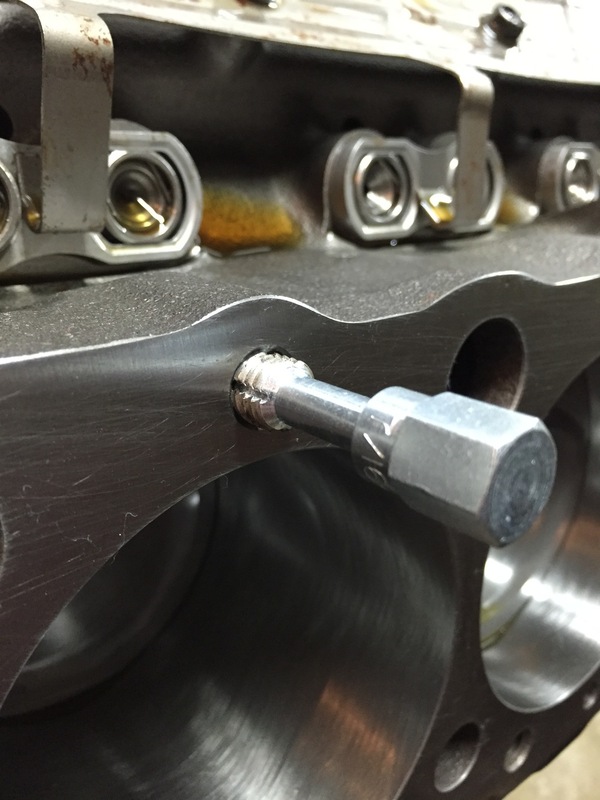 Rockers and all that other cylinder head stuff will be done soon too. Others: The 1Factory Radio with Bluetooth arrived! That should be installed this week along with the classic Impala odometer fix. Next week, the Impala is going into the body shop to get the new rear spoiler fitted and painted. We are super excited for this. Finally, I received my box of new wiring for the electric water pump and also the upgraded battery cables. All of this came from Gary at Innovative Wiring - judging by the quality, it is going to be such a nice upgrade for the Impala. So here is the latest from the Impala Project. I was under the assumption I needed to located TDC for piston 1, which is fine, not too big of a deal. The problem was I had nothing to turn the crank with. Right now I'm trying to prolong driving the Impala for as long as possible. Just another few weeks then I'll be tearing that down for the engine install. So the hub, bolt, crank pulley, etc are all still on the drivable car. Anyways, TDC. I ended up getting a strap wrench on the front of the crank to rotate it a little bit. This turned the engine enough to put piston number 1 right where it needed to be. After all this effort though, I find out that the LT1 doesn't need to be at TDC and the Optispark basically takes care of everything. So....lesson learned. Now that I am done with that, I moved to the cylinder head install. The head of choice here is the Trick Flow GenX 195 62cc aluminum units. Everyone online says to port, polish and do more with them because off the shelf heads won't generate any power. This isn't a track car and I'm just looking to make solid numbers, so the heads are going on as is. One thing I did before was chase all the threads with a thread chaser from Summit. I learned this is different than a tap, as it wasn't cutting, just cleaning or chasing the threads. I ended up using some ARP head bolts, ARP Moly/Assembly Lube and Loc-Tite Thread Sealer as well. Right now, the passenger side head is installed and looking nice. I followed the advice of Trick Flow and also my LT1 rebuilding guide. For the other cylinder head, I'm going to film that for everyone, just in case you were curious on how these install. Filming should take place in a day or two, just been super busy with everything else in life. I will say though that the first head went on nicely with a Fel-Pro gasket in between. Just following the guides and taking my time it took me about 45 minutes. 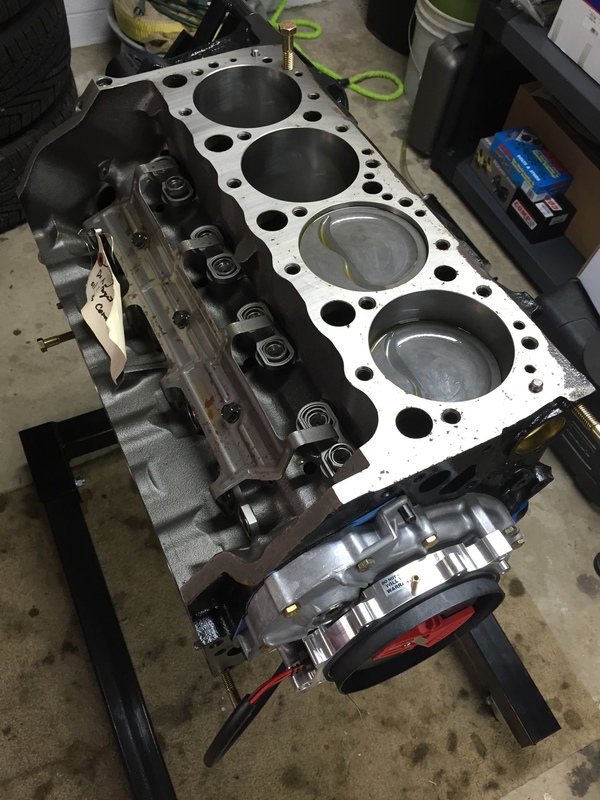 Here are a few photos below and the next post should be of the other cylinder head install. I also replaced the awful carpet underneath that has seen more than enough oil drips from various projects. Thanks for reading and the next update will be soon. As time allows, I've been adding pieces parts to the engine and researching what parts I am missing. With the Impala still running and not being torn apart yet, some items that are needed remain on the vehicle. Right now though, I started with the MSD OptiSpark. I'm told this isn't worth the coin, but we have it so I'm going to be using it. The OptiSpark in general is well known as being unreliable and troublesome. MSD came out with a solid billet piece that aims to improve on the factory issues. On our Impala though, we literally had no issues with the factory Opti, and then on a replacement which ran another 80k miles. So one would look at this move to the MSD unit as a bit of a gamble.... Time will tell. 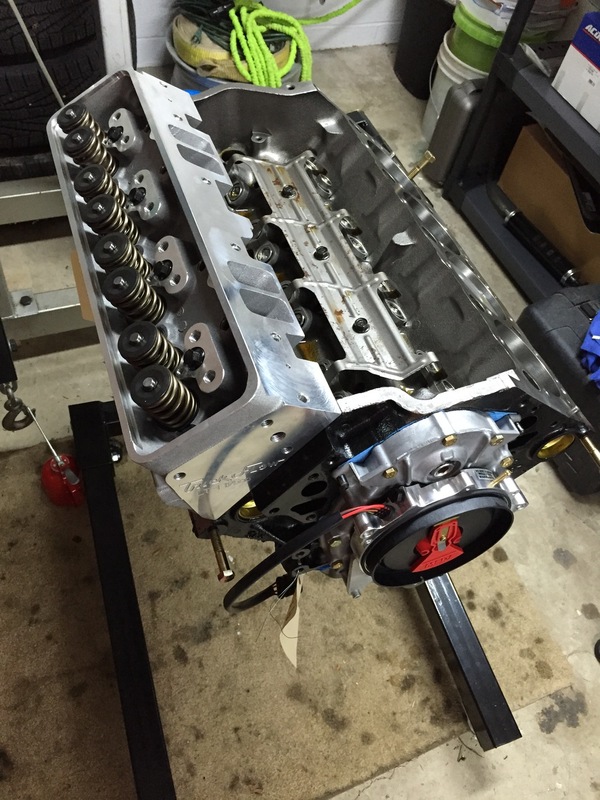 The funny thing with the LT1 is, there is a following, but parts seem to be difficult to find. Now I won't say impossible or out of production, I've been able to find what has been needed so far, but you can tell some things won't be lasting forever. Totally different experience when you look for LS1 parts. I needed/wanted a factory OptiSpark vent tube assembly, just in case the original has some wear or age to it. This was an eBay purchase, new OEM, which arrived and looks great. I also needed the Oil Pump Drive. This is basically a cam driven metal piece that bolts to the block and connects with the oil pump driveshaft. Finding one of these new and unused was difficult as well, but eBay was my source again. I believe this is still available at the dealership once I started looking up the part number. This is a part I did not want to reuse from the factory engine due to wear and also the well known broken plastic mount. Finally one little piece I needed asap was the oil pan level sensor. A quick look on Amazon found a new Delco piece that fit perfectly and wasn't too expensive. Now the oil pan is totally sealed up. After this, I added a little oil so when I'm turning the crankshaft and messing with the engine it won't be "dry" inside. Golen calls for Joe Gibbs Racing Break in Oil 15w50. Three quarts for now, which was dumped onto the lifters and down into the pan. So the next step is getting the number one cylinder to top dead center and working through the Trick Flow Cylinder Head install. This should be interesting and I think I'm going to film this, as it is quite the process. I also got a new extended spoiler for the back of the Impala from Super Sport Studios. Planning on doing a full story on this with before/after pictures and also my opinions on the looks, which I already am a huge fan of... This one might get the Impala to the body shop for installation though, more on that soon. Since the weather has been somewhat consistent here in Ohio, we moved a little bit on this project. The Impala is still in storage for the moment, but will be out and driven around for a couple weeks before the major work begins. I need to install new front brakes and new front tires during this time as well. In the meantime though, all of the parts have been brought over to the garage, and this includes the 383 LT1. 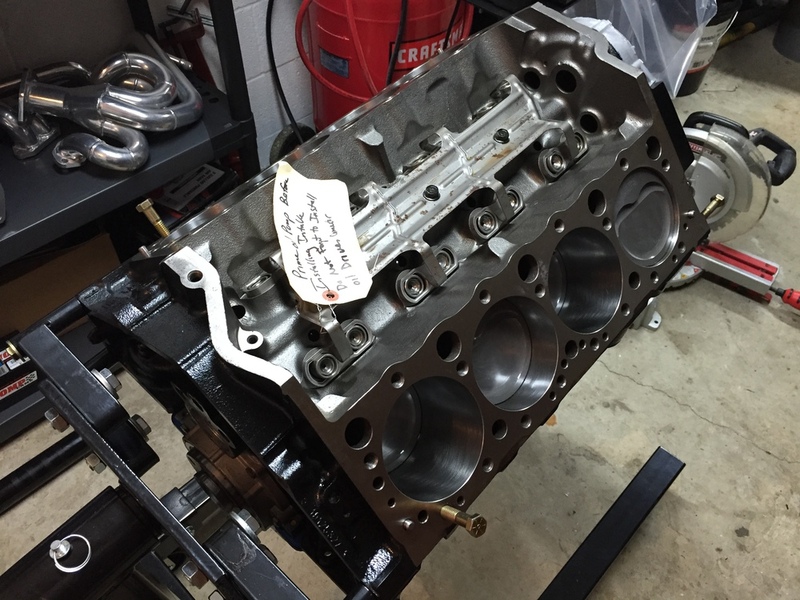 We purchased a rotating engine stand from Summit Racing to make this project as easy as possible. Here are a few pictures from the transfer to my garage and what it looks like on the engine stand. Right now it is bagged up, but I'm going to start piecing it together and adding parts as time permits. I'm sure most people out there can relate, but the reason the Impala is necessary is also the reason time is limiting. Having a family takes most evenings and weekends, along with all of the other stories we have in the pipeline. Stay tuned for updates and info, thanks for following along! The project at hand for the upcoming Summer is somewhat daunting. Take a 1996 Impala SS with 180k on the clock and make it better. Sounds pretty simple but assembling and installing an LT1 is all new to me. My daily driver Camaro which the Impala will be replacing is LS based and I have just a bit more knowledge in that area. The engine is in it's crate and the new engine stand is waiting. All of our parts from headers, Trick Flow Heads, MSD Ignition, Edelbrock Intake and tons more are waiting to be bolted up. I have been researching and learning for the past week now and we're ready to start assembling. The next update will be here when the engine is mounted and good to go.